Before that precious bundle of joy arrives in your arms, wouldn't it be nice to get out of town for a little while? A babymoon is a relaxing vacation for parents-to-be to do some one-on-one bonding, and a babymoon in San Francisco or New York might be the romantic getaway you've been dreaming of. After all, parenthood is difficult: Sleepless nights, diaper changes, and necessary expenses could imbue you and your spouse with plenty of stress. Before you obtain membership to the tired parents club, why not go all out just one more time, just the two of you? Or, if you're newlyweds looking for a thrilling honeymoon, a rendezvous in either of these cities will sate your appetite for romance. Take a walk along the Golden Gate Bridge overlooking the bay, or go on an adventure through the urban enchantment of New York City—either city is an excellent choice for your first adventure together as a married couple. 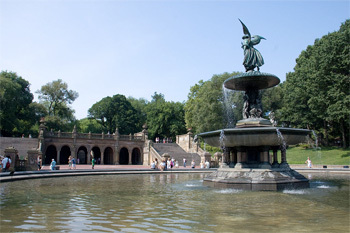 With CityPASS, you can see the greatest attractions in both cities at a discounted price. 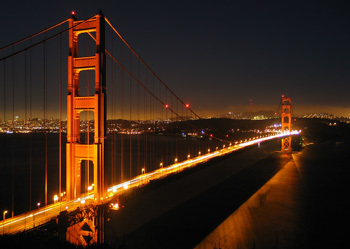 Honeymoon or babymoon, San Francisco and New York are the perfect places to celebrate your romantic excursions. A honeymoon in San Francisco might not be typical, but for a city that is often compared to New York, it's a mystery as to why that might be. With its exquisite culture, world-class hotels and restaurants, top museums, breathtaking views, and historic plazas and architecture, plus the city's proximity to other romantic areas like Napa Valley and Lake Tahoe, San Francisco is teeming with romance. 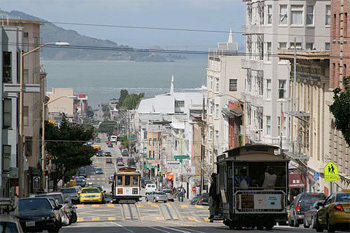 With the three-day Muni pass included in CityPASS, just flash your booklet for access to buses, street cars, trolleys and the historic cable car system that runs through the hilly veins of the city. You won't have any trouble getting from one destination to the next while you enjoy iconic views of San Francisco. You can also explore iconic views of the city on Treasure and Angel Island. Restored Victorian homes set against elegant skyscrapers are as scenic as the surrounding ocean that brushes the shore. Looking for ultimate relaxation? Head over to Nob Hill Spa for a perfect spa getaway. Pamper yourself with a soothing massage, and enjoy the outdoor sun deck as you bask in the presence of your loved one. Make your way toward Ghirardelli Square for a decent dose of history, culture, and delicious chocolate. Don't forget to stop in one of the many boutiques for a unique honeymoon gift. ElizabethW offers spa-quality bath and body products, candles, and fragrances—perfect for unwinding alone in your hotel. 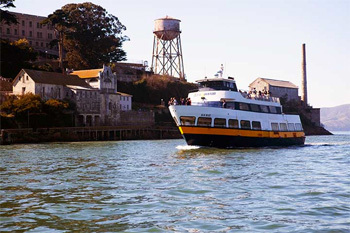 Get ready for the spectacular sites of the San Francisco Bay—the Blue & Gold Fleet offers a one-hour cruise that will take you underneath the Golden Gate Bridge and up and around Alcatraz and Angel Islands. It's a sweetheart adventure and a splendid opportunity to take memorable photos you can bring back to your friends and family. At the Garden of Shakespeare's Flowers in Golden Gate Park, take a romantic walk through the beds of flowers and enjoy time alone with your honey. Explore the wonders of the ocean at one of San Francisco's premiere aquariums, the Aquarium of the Bay, or head south to the Monterey Bay Aquarium. Cuddle close on the cable cars as you head to Crissy Field for a romantic picnic. Or, treat yourselves with a meal at Boulevard, a picturesque dining experience in one of the Bay Area's many wonderful historic buildings. Enjoy French-inspired dishes like California Sea Bass and relax with a glass of wine from the 500-item wine list. Remember to add a San Francisco CityPASS to your baby or wedding registry—family members will love being able to provide you with a romantic getaway. Before you're forced to survive solely on coffee and little rest when the baby arrives, request your New York CityPASS. Take a week to enjoy the City That Never Sleeps before you become the Parents That Never Sleep. With public transportation aplenty, getting around New York City is virtually no problem for two sweetheart explorers. 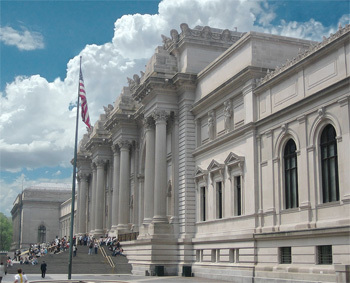 Shop ‘til you drop on 5th Avenue, pack a picnic and stroll through Central Park, or see the Van Goghs and Monets of the Metropolitan Museum of Art. Get a panoramic view of New York City from 70 stories high at the Top of the Rock Observation Deck, and then escape into the world of Broadway with tickets to a show. Make your way to Liberty and Ellis Islands for an up-close encounter with the Statue of Liberty and a visit to the Ellis Island Immigration Museum. The science nerd in you will love the American Museum of Natural History, with an amazing variety of exhibits from dinosaurs to gems and minerals to space shows in the planetarium. Not every attraction needs to be infused with romance—simply being alone with the love of your life is an experience worth having. For a sit-down dinner with your beloved, PJ Clarke's has the elegant feast you've been waiting for, with delightful dishes that will be forever engrained in the memory of your taste buds. Savory oyster and creamed spinach, along with the restaurant's warm interior, will bring your romance-infused day to a perfect and delectable end. When you've walked along the city streets and have had your fill of New York magic, it might be a good idea to catch up on some R&R at the Red Door Spa. Enjoy a tranquil facial and deep massage in one of New York's most sophisticated sweetheart destinations. After your stresses are massaged away, take a romantic carriage ride through Central Park and cuddle close to the one you love. For an unforgettable gift and memorable adventure, request CityPASS booklets in your wedding or baby registry. As you explore two of America's most romantic cities, you won't regret letting CityPASS show you the best each city has to offer.